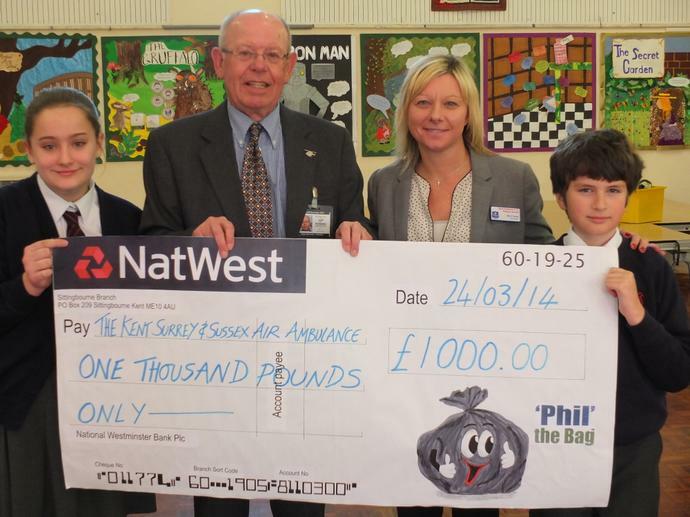 We had a visit this week from Mr Brian Cheverton from the Kent Air Ambulance to say 'thank you' for all the money we raised in the 'Phil the Bag' day. Between all the ASP schools we raised £1000 towards funds for the Kent Air Ambulance. Brian led an assembly for us telling us about the importance of having an air ambulance service in Kent.